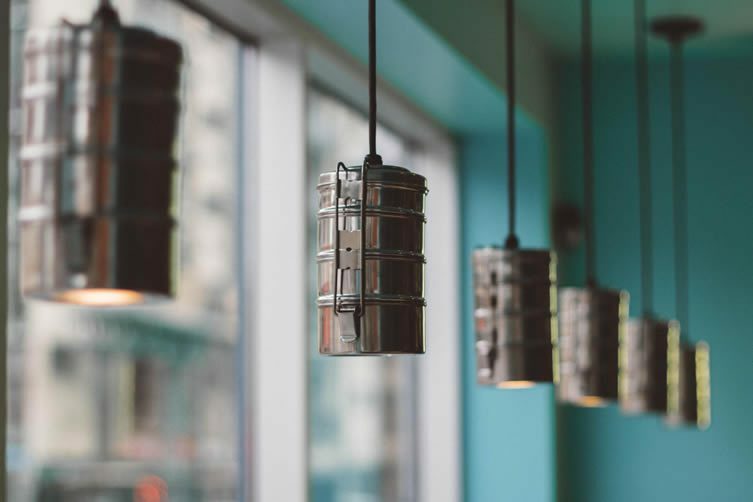 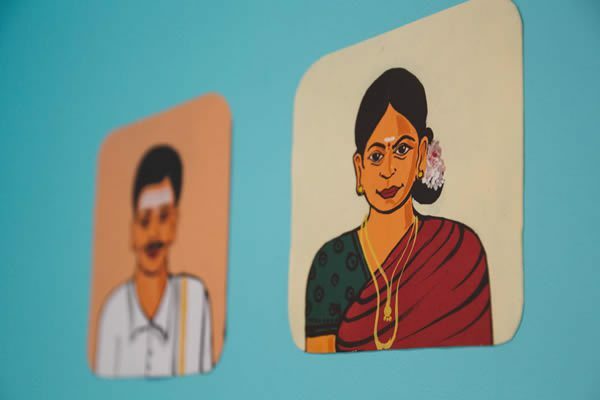 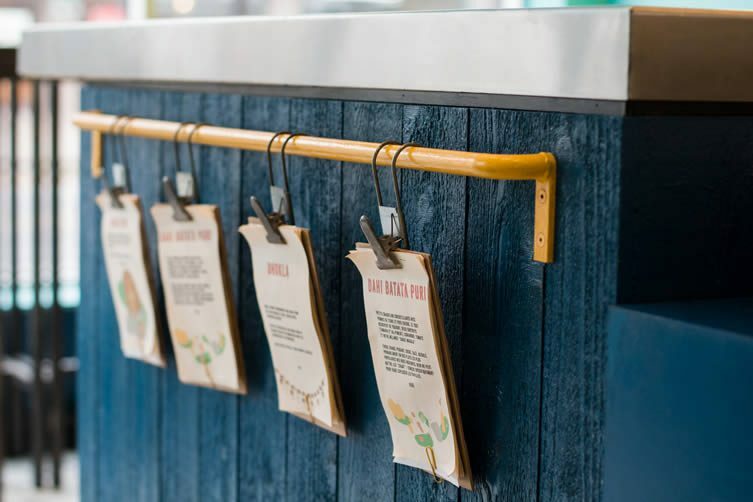 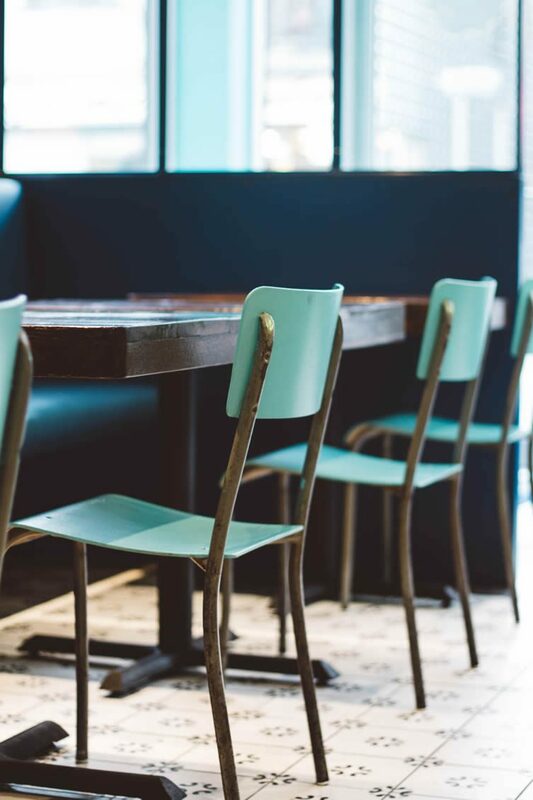 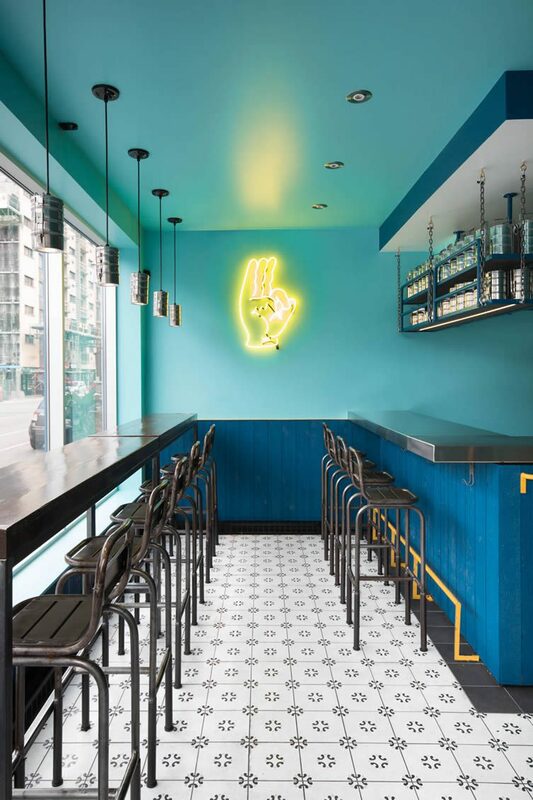 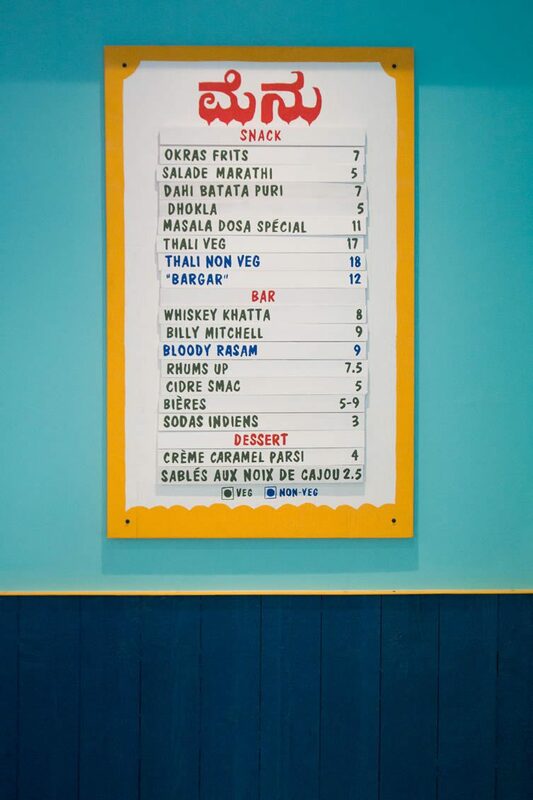 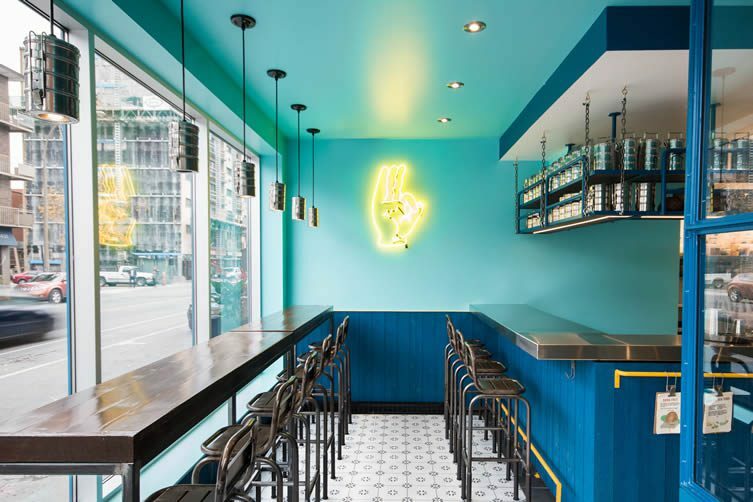 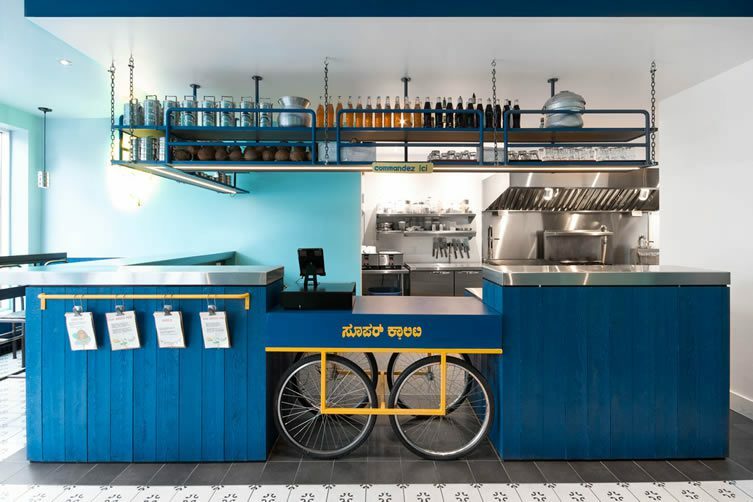 Inspired by the sleeper trains of India, Le Super Qualité is a snack-bar serving southern Indian fare to the hungry and design-conscious residents of Montreal. 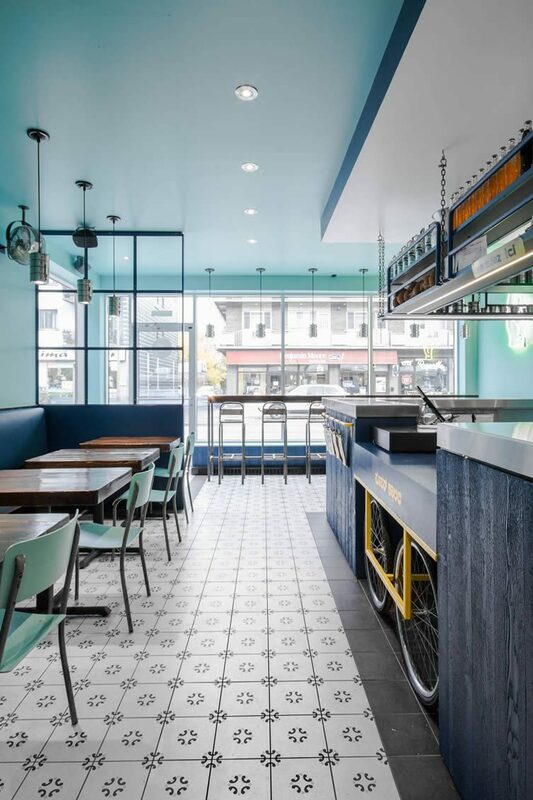 Located at 1211 rue Bélanger, the interiors of the 18-seat eatery were designed by architect and photographer David Dworkind who, recently home from a trip to India, was chock-full of inspiration; creating a space with textured blue wood reminiscent of old wooden doors, a lighter blue splashed onto the walls, along with heritage style floor tiles and contrasting yellow accents. 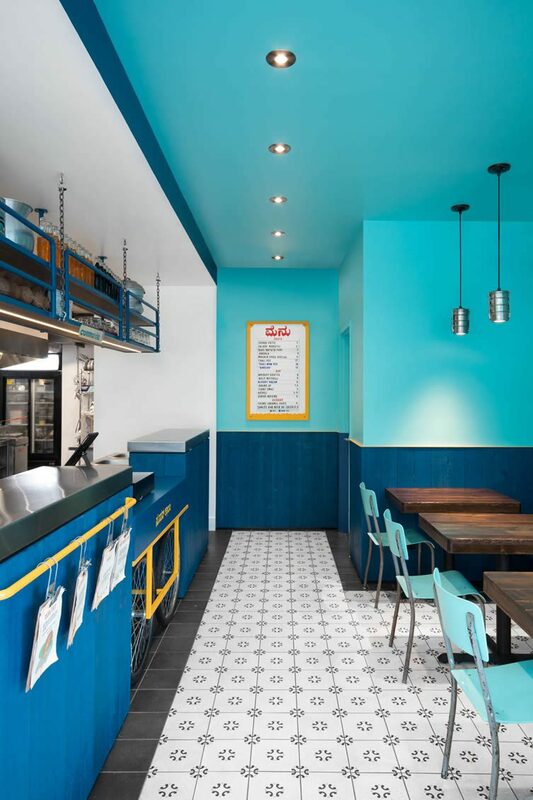 Having outgrown their original small production kitchen, the owners (the guys behind the city’s renowned catering and workshop platform, Cook Caravan) wanted to retain a casual vibe in their bricks-and-mortar premises; something Dworkind achieved by inserting a street food cart to create a lower counter and act as the point of sale. 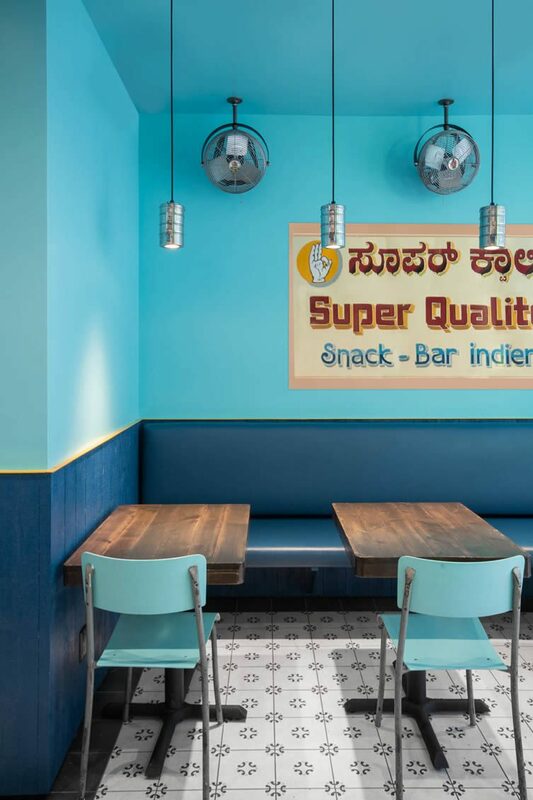 Hand-painted Indian signs adorn the walls, accentuated by suspended tiffins that have been hollowed out to create lamp shades — fans of neon (who isn’t) will rejoice in a bright green logo that crackles into action; beckoning customers who are looking to get their chops around a taste sensation of Indian flavours at this slick little space.